You heard it on the BrewExpo America exhibit hall floor and echoing through the massive seminar rooms at the Craft Brewers Conference. You heard it at breakfast and at the after-Expo events. Sure, there was plenty to see and talk about at CBC 2014, but there was one topic that was on the tip of every attendee’s tongue: Quality. 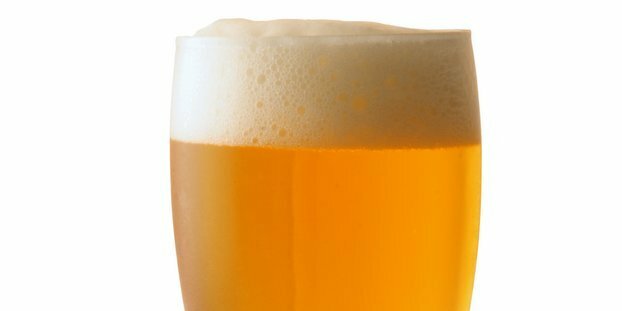 Brewers Association Director Paul Gatza explained it best when he said that craft beer is gaining steam in part because of the consumer’s interest in quality, and if the new supply matching that demand can’t live up to that consistent quality, the industry overall could feel the effects. Practically every craft brewer is a proud artisan of his or her own craft beers, but in commercial craft brewing, quality issues crop up. At CBC, more than 400 brewers packed a standing room-only seminar room to open a brewer dialogue focused on how to work together to address quality concerns. A big focus of the seminar was root cause analysis. It’s basic quality assurance: you have a problem, you define it, troubleshoot it and, hopefully, fix it. The first step toward fixing a beer quality problem is also the most difficult — You have to admit that you actually have a problem. It’s not the problems that define the quality of your business, it’s how you respond to them. Once your problem is defined, Blankemeier recommended being as specific as possible about what issue you are facing. You can quickly slide down a slippery process-revamping slope trying to change too many variables at once. Clearly define your specific problem, then analyze that issue. Finally, figure out all the variables you can change to address the problem and only change one at a time. Craft beer quality was a huge issue at CBC. More than 400 brewers packed a standing room-only seminar room to open a brewer dialogue focused on how to work together to address quality concerns. Avery Brewing’s Robert Christiansen gave attendees a look behind the brewery curtain to detail how Avery Brewing addressed a quality complication after installing a new centrifuge. Once in place, the centrifuge was paying off. “We got higher yields, our beer was hoppier, everyone was stoked…and then we started getting dirty plates in the lab pretty soon after we instituted the centrifuge,” Christiansen said. The centrifuge plates were the first ones that exhibited growth, but there was also growth on the plates from paper filters, bright tanks and bottles. Christiansen displayed a picture of the discharge outlet side of the bowl where the growth had overtaken about a fourth of one side. Know your brewery, know your equipment, know the parts that you can get an infection in and know that it’s possible that if one guy makes an error, it can foul up your beer or system or piece of equipment. — Robert Christiansen, Avery Brewing Co. quality assurance managerThe brewery’s first step was having the protocol in place to diagnose a problem by being proactive instead of reactive. Christiansen explained that the team identified the variable control points and, through their process, discovered that the cleaning was insufficient in the way the discharge was timed, the way CIP was running, and in the concentration of the chemicals. Those led to the caking on the outside of the centrifuge bowl. Avery ended up changing its cleaning chemical of choice, almost quadrupling the strength compared to what the brewery was using. One of the best resources for quality assurance, according to Christiansen, isn’t a piece of equipment, it’s the relationship a brewery has with its suppliers and equipment manufacturers. It’s important to have an open dialogue with your suppliers and manufacturers and a relationship that allows you to pick up the phone and have someone on the other end who will help you work out your issue. Another key to Avery’s quality success: Knowing the cleaning chemicals and how they work.